Last season on Real Housewives of New Jersey, Dolores Catania referred to Danielle Staub as a “crazy scumbag.” She tried to warn the whole cast about the OG Housewife and her ways. However, no one was buying what she was selling. Teresa Giudice, Melissa Gorga, and Margaret Josephs just loved Danielle. They were even bridesmaids in her wedding. And we all saw how that went. Danielle turned into an incomparable bridezilla. Thankfully, she owned up to her antics and apologized, but was it too little too late? After the wedding, Danielle told Teresa and Melissa that Margaret told her not to trust them. Deja vu much? This very much mirrors the controversy with Dolores and Teresa last season. The common thread? These were both Danielle-instigated issues. Later, a caller asked Dolores, “Did you see the writing on the wall with Danielle and her marriage? Were there any signs?” Dolores admitted, “At the time, I just said it, but I didn’t know them as a couple because she and I stayed clear of each other.” This is a moot point. We can all look back with 20/20 vision on this one. We know how this ends up. Next topic. And, of course, there were some Frank Catania questions. They are the most fascinating non-couple. And the latest topic of conversation is whether or not Frank is holding Dolores back from progressing in romantic relationships. Dolores insisted, “He’s my best friend now. Does someone’s best friend hold them back?” Andy even asked about the last time she slept with Frank. Dolores said it has been “twenty years.” So right before their son was born? 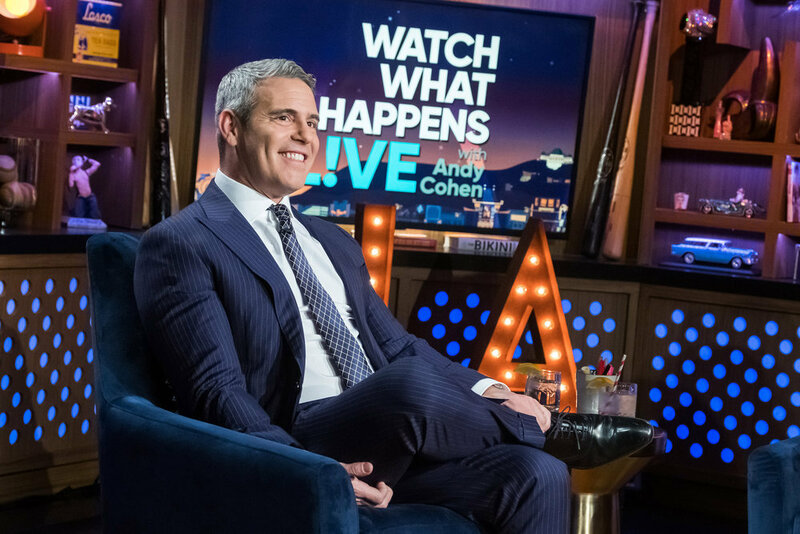 Click through the photo gallery below to see pictures of Dolores Catania from last night’s Watch What Happens Live episode. TELL US- ARE YOU SURPRISED THAT MARGARET APOLOGIZED TO DOLORES FOR IGNORING HER WARNINGS ABOUT DANIELLE? IS FRANK HOLDING DOLORES BACK? DO YOU WANT FRANK AND DOLORES TO DATE?